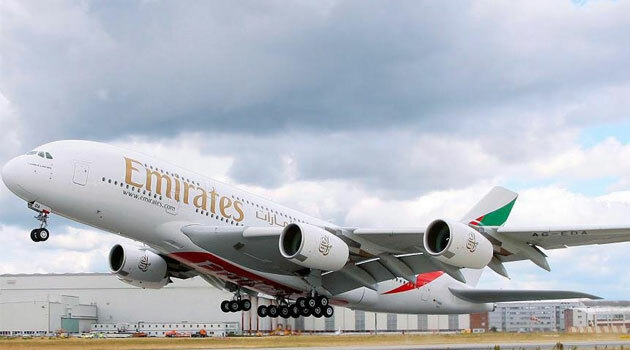 NAIROBI, Kenya, Mar 26 – Emirates is offering a special roundtrip to Dubai for Kenyan customers which includes a complimentary hotel stay for the first night and bonus Skyward miles for passengers who book their flights from 26 March to 3rd April 2019. First and Business Class travellers can avail a one night stay at the 5 JW Marriot Marquis, First Class passengers can choose the Executive e Room and Deluxe Room for Business Class travellers. Economy Class passengers can choose a Rover Room at either Rive Downtown, Rove City Centre or Rove Healthcare. All accommodation includes breakfast. “We are always looking to stay ahead of the curve and offer services that will enhance Kenyans’ travel experiences. Those visiting Dubai can enjoy the tranquillity of its desert retreats, golf courses, calm seas and beaches. Dubai is home to the world tallest building, the Burj Khalifa and offers startling feats of engineering such as the Palm islands, Burj Al Arab and The Dubai Mall,” said Hendrik Du Preez, Regional Manager Emirates East Africa. Regardless of the class of travel, Emirates’ customers can enjoy an unmatched choice of the latest movies, TV shows and music on board from 4,000 channels of on-demand entertainment, up to 20MB complimentary on-board Wi-Fi, as well as regionally inspired meals prepared by award-winning chefs.